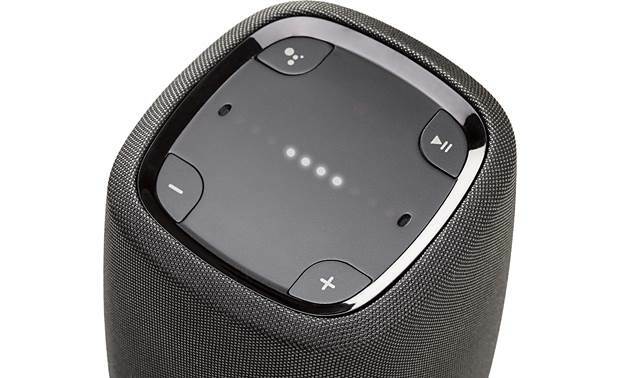 The compact Polk Assist is one versatile wireless speaker. 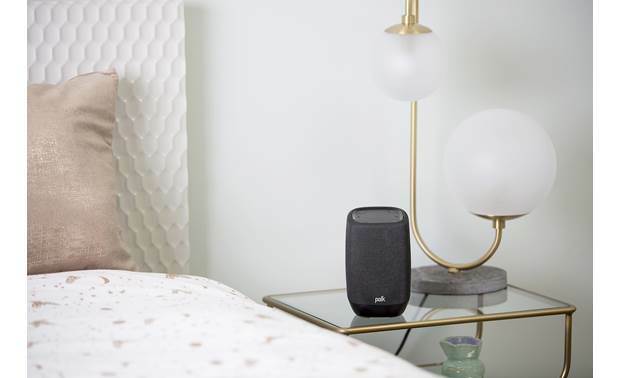 The compact Polk Assist is one versatile wireless speaker. It delivers clear, detailed sound — but it's not just for music. The speaker has Google Assistant built-in, so you can just tell it to play a song, give you a weather or news update, and more. Plus you'll have voice control over compatible smart home devices from Wemo, Philips Hue and others. You can also stream music from your portable device via Bluetooth. 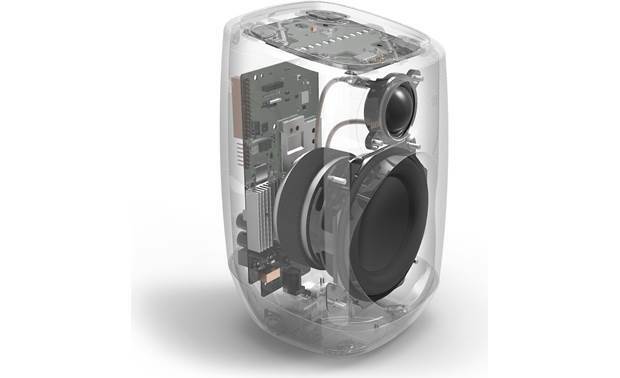 Oh — and it can also be part of a multi-room audio system, too. 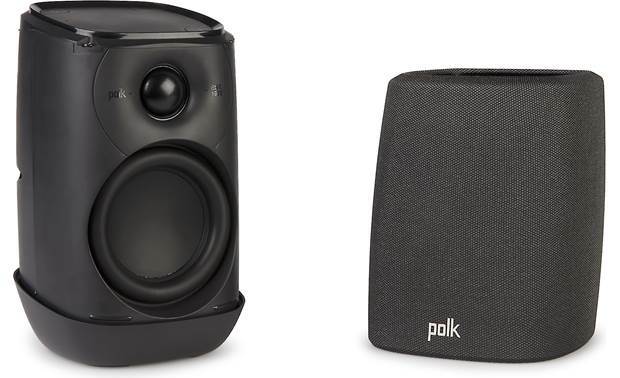 The Polk Assist uses Google's Chromecast built-in wireless audio platform. Stream music over your Wi-Fi® network from your favorite apps on your smartphone or tablet, such as Spotify®, TIDAL, Pandora®, Google Play Music, TuneIn, and iHeartRadio. Chromecast also plays music directly from the cloud, including great-sounding high-resolution audio files up to 24-bit/96kHz. 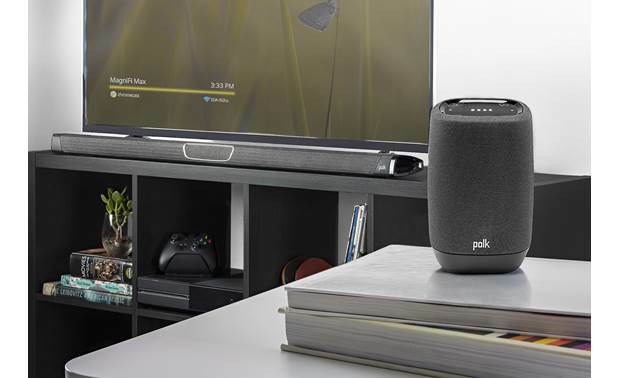 You can also make the Polk Assist part of a wireless whole-house audio system using your Wi-Fi network and Polk MagniFi sound bar or other components and speakers with Chromecast built-in. Have a Polk Assist speaker in the kitchen play a Pandora station, while the Magnifi MAX in the family room plays a Spotify playlist. Or have multiple networked Polk speakers play the same song. And you can control it all just by saying "OK, Google." The Polk Assist is also compatible with Roon, a subscription digital music player you download to your smartphone, tablet, or computer. It gives you multi-room audio playback for all your Chromecast-compatible devices and more. Roon accesses your digital music collection from your iTunes library or NAS drive. It also works with your TIDAL subscription. Roon lets you do deep dives into your music, showing artist bios, photos, reviews, and lyrics. Roon can also suggest other artists and songs based on your selections, making it easy to discover new music you'll enjoy. 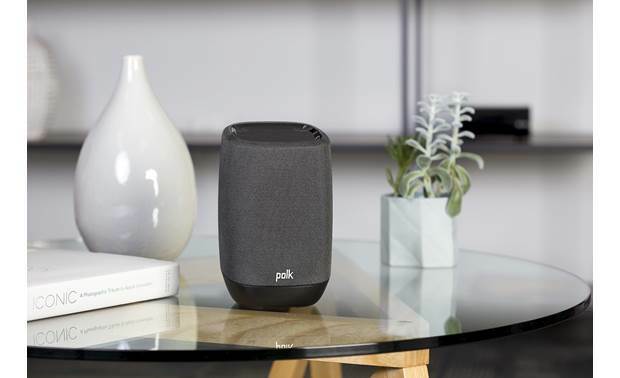 Polk Assist: The Polk Assist is a hands-free voice-activated speaker with Google Assistant, Chromecast built-in, and built-in Bluetooth audio streaming. 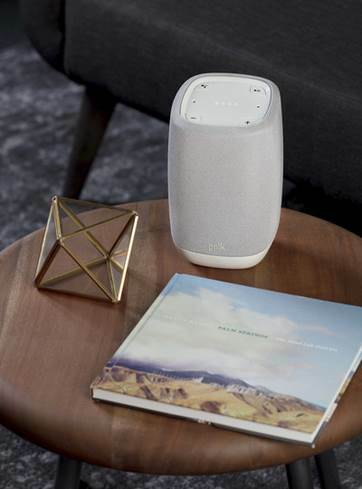 Merging Polk Audio's signature sound and Google's voice assistant technology, the Polk Assist brings together great sound with a powerful digital voice assistant. The Assist also features high-definition music streaming with Chromecast built-In, providing endless entertainment from the most popular music and entertainment apps - all through simple voice-commands. In addition, the Assist supports Bluetooth audio streaming. 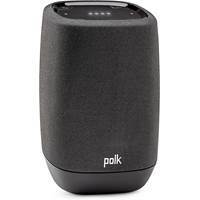 Wireless Network Connection: To enjoy Chromecast Built-In & Google Assistant, you will need to connect the Polk Assist to your wireless home network. The Polk Assist is equipped with dual-band (2.4GHz/5GHz) WiFi (802.11 b/g/n/ac) for a high-performance wireless network connection. Easy Setup with the Google Home App: Use the Google Home App (for Apple iOS 9.1+ and Android OS 4.1+) to connect the Polk Assist to your home's wireless WiFi network, as well as setup the Google Assistant & Chromecast Built-in from your compatible Apple iOS or Android device. You also get to configure compatible apps within the Google Home App, plus adjust other various settings. 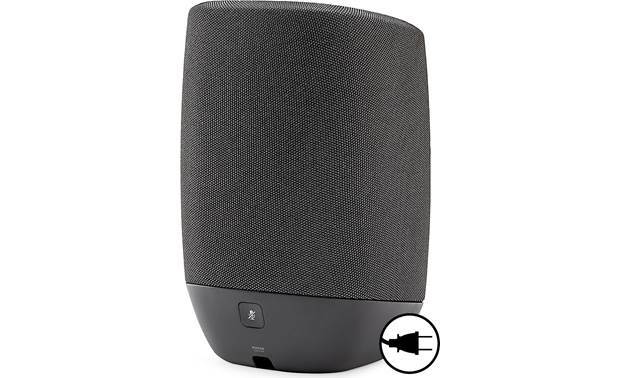 Two-Way Driver Design: The Polk Assist voice-activated wireless audio speaker utilizes a two-way driver design featuring a 1" dome tweeter and a 3.5" cone mid-woofer powered by a built-in amplifier for room-filling Polk Audio sound. AC Power Adapter: The included AC power adapter with attached 8' DC cord plugs into the bottom of the Polk Assist and an AC power outlet or surge protector (sold separately). Note: The Polk Assist is not battery powered. Automatic OTA Updates: All new firmware & software updates will happen over-the-air (OTA) automatically. The Assist must to be connected to your WiFi network with at least 30% battery and plugged into the charger to automatically update new firmware & software. Chromecast Built-In: With Chromecast built-in, you can instantly stream select online music, radio, and podcast services from your Apple iOS or Android device to the Polk Assist speaker. If you're on your laptop or computer, you can also cast any music streaming website through the Chrome browser. Chromecast built-in streams your music directly from the cloud instead of from your device, so you won't lose any sound quality or drain your device's battery. Note: The Polk Assist is not made for video streaming; you will experience video delay when streaming YouTube and any other videos. 24-Bit/96kHz Audio: Chromecast built-in streams audio directly from the cloud, so you get the highest sound quality (up to 24-bit/96kHz) and the ability to enjoy crystal clear sound exactly the way the artist intended. The Polk Assist supports FLAC, WAV, AAC, and MP3 music files. Podcasts: With the Polk Assist and Chromecast built-in, you can listen to your favorite podcasts and shows. Currently, you can't request podcasts from partner podcast players - like Spotify, Google Play Music, and TuneIn. Android Music Library: Stream your favorite music, playlists, podcasts, and more that are stored on your Android (OS 4.4.2+) device to the Polk Assist. You cannot stream stored content on an Apple iOS device. Multi-Room Audio: Use the Google Home App (for Apple iOS 9.1+ and Android OS 4.1+) to group multiple speakers with Chromecast built-in together to enjoy the same song in every room - right from your compatible Apple iOS or Android mobile device. Now, you can enjoy music streaming in high-resolution (up to 24-bit/96kHz) across all your Chromecast enabled speakers. See the Accessories Tab for a list of Chrome cast built-in compatible speakers (all sold separately). Bluetooth Audio Streaming: In addition to streaming music over your wireless network through Chromecast built-in, the Assist also offers built-in Bluetooth 4.1 with support for wireless audio streaming (A2DP/AVRCP). You can stream stored music, music apps, and other audio content on your Bluetooth source device (such as your smartphone, tablet, or computer) to the Polk Assist. Up to three devices can be paired with the Assist, but only one device can be used to stream music at a time. Once paired, the Assist will automatically re-connect with paired devices when in wireless range (up to 33'). You'll also be able to operate Play & Pause functions from the speaker's top-panel controls. Note: The Assist does not support Bluetooth hands-free phone communication (HFP). However, you can use the Google Assistant over your WiFi network to make phone calls. Built-in Google Assistant: The Polk Assist is a voice-activated speaker powered by Google Assistant. By saying "Ok Google", the Assist can help perform tasks like playing a favorite song or controlling smart home devices, checking the latest weather, traffic, & finance reports, and finding out the latest sports scores. Thanks to Google's rich history in search, the Polk Assist with Google Assistant is ready for all your questions and commands. Far-Field Voice Recognition: Far-field voice recognition allows for easy hands-free operation. 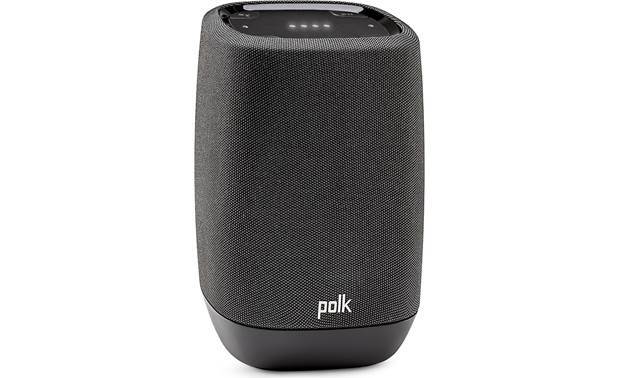 Say your commands and ask your questions form across the room and the Polk Assist will respond. Status LED's on the top-panel of the speaker will light up to indicate that it heard your command or question and is working on a response or action. Microphone Mute: You can mute the Polk Assist's microphone for privacy. LED lights will indicate that you have muted the microphone and the Google Assistant. The Assist will not react to any voice keywords unless you un-mute the microphone. Home Entertainment Compatible: Using only your voice, you can initiate and control audio to any speaker, receiver, or TV with Chromecast, Chromecast Audio, or Chromecast built-in. You'll have access to Play, Pause, Skip, & Volume control of each compatible device. See the Accessories Tab for a list of compatible speakers, receivers, and TVs (all sold separately). Hands-Free Calling: The Polk Assist with Google Assistant supports hands-free calling, so you can call friends, family, and businesses using just your voice. Call your own personal contacts or millions of businesses thanks to Google's extensive business listings. You can also call a number by speaking it aloud. Google does not record any of the phone conversation. Answering incoming calls and calls to emergency services are not supported. Smart Home Automation: The Polk Assist with Google Assistant lets you control devices around your home from Google Home compatible smart home automation partners - like Philips Hue, Samsung SmartThings, Belkin Wemo, Nest, Honeywell, and more. You can even create your own voice commands for the Google Assistant on your Apple iOS or Android device using IFTTT (If This, Then That). Manage Tasks & Plan Your Day: Ask the Polk Assist with Google Assistant about your day and hear the information you need without going online or opening your calendar. Also, use voice commands to set alarms and timers for things you need to do. 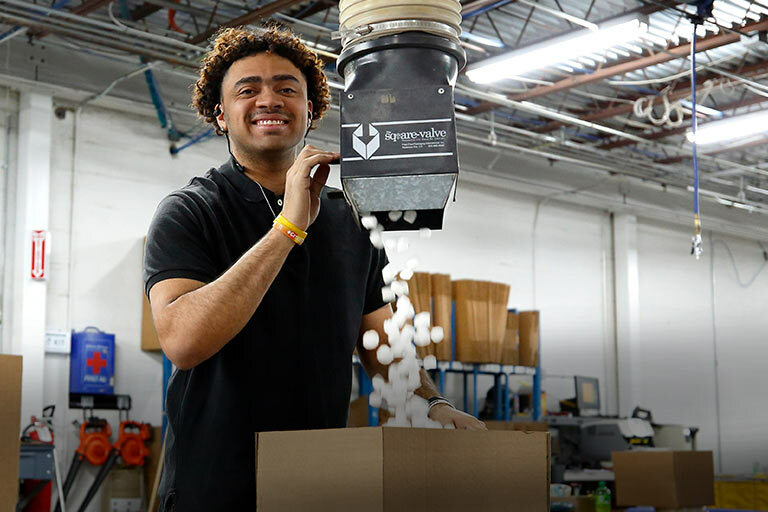 Get Answers: The Assist's built-in Google Assistant helps you find answers for many of your daily questions through the Google search engine - including calculations, translations, unit conversions, nutrition, dictionary, finances, facts, and more.